LOS ANGELES – After a whirlwind three-year journey that has taken him from Florida to New York, California, Texas and Nevada, highly-touted Puerto Rican featherweight prospect Carlos Ivan Velasquez will return to fight in his hometown of Cataño for the first time as a pro when he faces Eduardo Arcos of Sonora, Mexico on Friday, July 16, in the ten round main event of TeleFutura’s “Sólo Boxeo Tecate” at the Coliseo Cosme Beitia Salamo. Also featured on the televised broadcast will be a clash of Puerto Rican prospects, as Guaynabo’s Jonathan Vidal takes on San Juan’s Felix Perez in a six round bantamweight bout. Velasquez vs. Arcos headlines a night of hard-hitting professional boxing presented by Golden Boy Promotions and Miguel Cotto Promotions is sponsored by Cerveza Tecate. Doors open at 6:00pm AST, the first bell rings at 7:30pm AST and the TeleFutura broadcast begins at 11:30pm ET / PT (10:30pm CT). Tickets, priced at $35, $25 and $12, are on sale now at Ticketcenter, and by calling 787-792-5000. Tickets may also be purchased online at www.tcpr.com. Cataño’s Carlos Ivan Velasquez (12-0, 10 KO’s) is rightfully seen as one of the featherweight division’s brightest prospects and for good reason considering his talent, power and perfect pro record. In April, the 25-year old scored a devastating fourth round knockout over veteran Ira Terry, and he can’t wait to put on a show for his local fans when he faces Arcos on July 16. 16-1 with 13 KO’s, Sonora’s Eduardo Arcos certainly has the credentials to renew the legendary fistic rivalry between Mexico and Puerto Rico. After scoring his last three wins by knockout, the 22-year-old is ready for his biggest test to date. 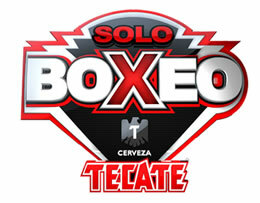 Arcos will look to upset the hometown favorite in Velasquez on July 16. Unbeaten in ten bouts, Jonathan Vidal (10-0, 7 KO’s) is Puerto Rico’s latest up and comer from the sub-135 pound weight classes, and considering that Wilfredo Gomez and Juan Manuel Lopez have carried that title before, that’s high praise. In his most recent bout, Vidal scored a shutout six round win over Robert DaLuz and looks to add to his perfect record on July 16. With a 7-1 (3 KO’s) record as a pro, Felix “Ardilla” Perez is making his long-awaited return to the ring after a nearly two year break, and he’s chomping at the bit to get back to pursuing his goal of one day winning a world title. His first step is on July 16 and he promises to give his fans a fight to remember against Vidal.